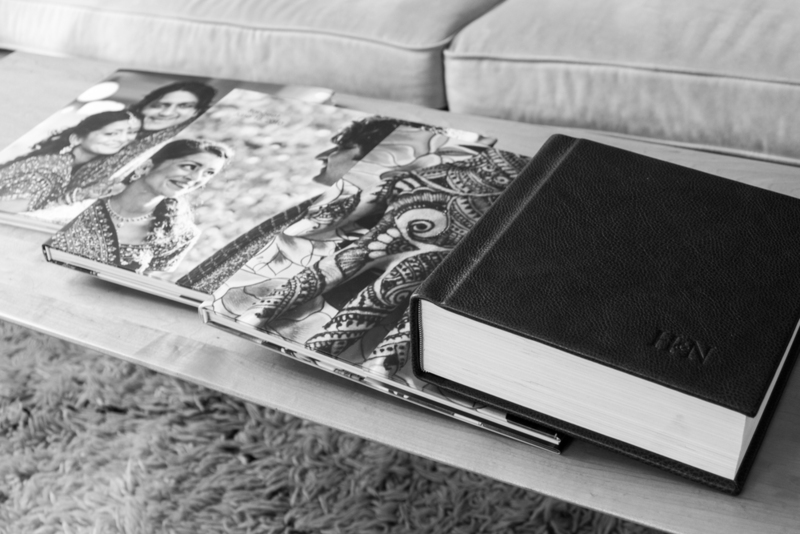 Hina and Nilam celebrated their marriage over several days so when it came down to creating albums they had their work cut out! Fast forward from their 1500 image edit to …. 6 Asuka albums, a Fusion and a Vogue album. They decided to showcase their engagement and NYC court wedding in a beautiful charcoal leather Fusion album with a custom emboss of their initials. … these albums definitely take the award for the most colorful but more importantly they represent much love, happiness and laughter shared. Hina and Nilam so enjoyed celebrating their unity with their special people. These albums are a wonderful representation of what a wedding is all about. At the same time as this post goes live Hina is sharing these memories with her mom who has just flown into NYC … Enjoy!